Welcoming Our New Senior Corps Director! 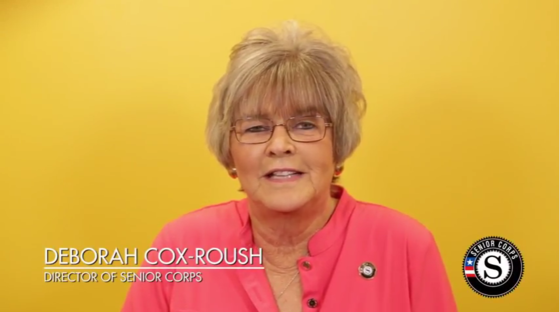 We are very pleased to welcome Deborah Cox-Roush as our new Director of Senior Corps! Appointed by the President, Deborah will lead our Foster Grandparent, Senior Companion, and RSVP programs that engage 245,000 older Americans each year in results-driven service to meet pressing needs in communities across the nation. Deborah brings more than 30 years of high-level professional experience in management, events, advocacy, and volunteer coordination. Most recently, she served as Special Assistant to the Secretary at the U.S. Department of Education. Before moving to Washington, D.C., Deborah owned an advocacy consulting and event management company in Florida. She has a long history of involvement with community, nonprofit, and philanthropic causes related to women, economic empowerment, small business development, and job creation. Deborah is eager to meet with and hear from as many of you as possible in the weeks and months ahead. In the meantime, she wanted to greet you through this short video. Deborah’s first priority is listening to and learning from you about how we can make Senior Corps even stronger. We are excited to work with her to improve lives, strengthen communities, and expand opportunity. As Deborah takes on this role, I want to say a big thank you to Erin McGrath for doing an outstanding job as Acting Senior Corps Director for the past six months. Erin will continue to bring great energy, skill, and passion for Senior Corps as she returns to her Deputy Director position.